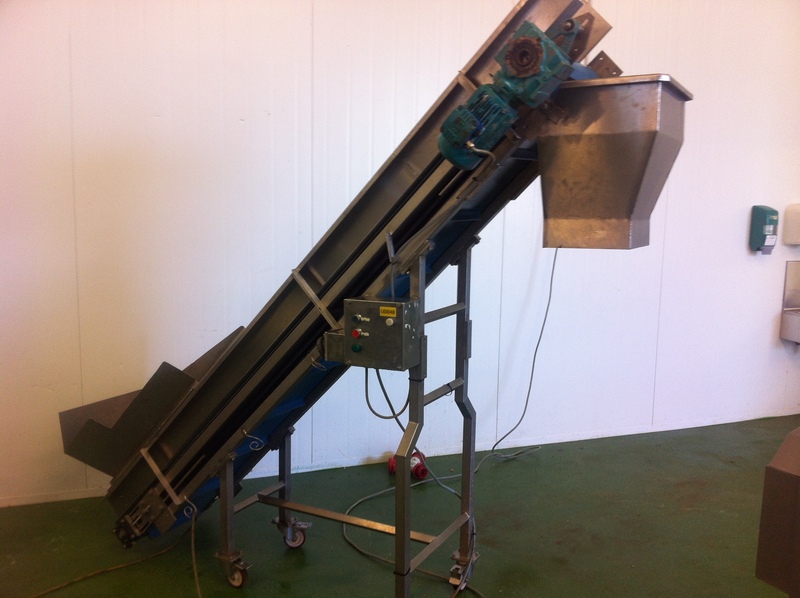 The incline elevator has had a specially made shoot so that it is ideal for feeding a Fam dicer or for filling barrells. It measures 340mm wide has an infeed hieght of 640mm and outfeed of 1460mm. The belt is completely stainless steel includeing the control box and has recently had a new belt on it. The machine is still in line and any viewing is welcome.